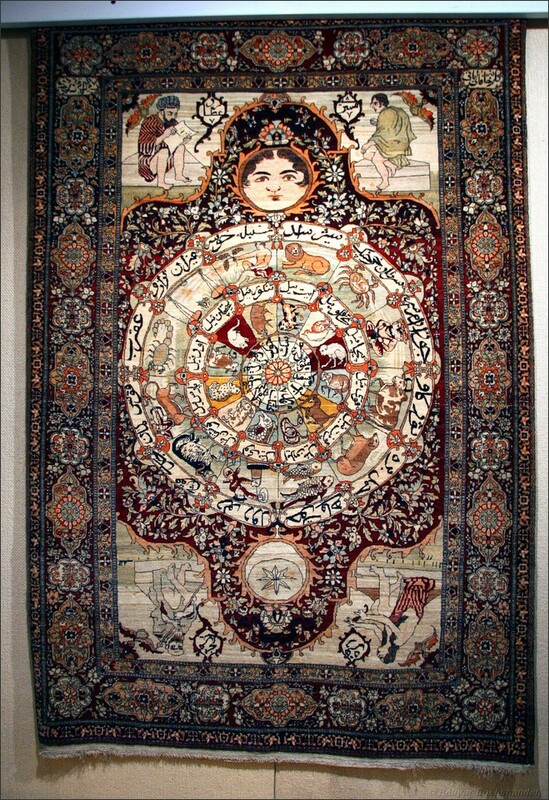 Notes A late 19th century carpet showing the Zodiac symbols. The figures in the corners represent planets. At the Carpet Museum in Tehran.